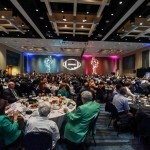 Firm Recruited To Help Propel Yet Another Boca Raton Destination Asset To Thrive In National Spotlight–The Boca Raton Bowl has retained Kaye Communications PR & Marketing (KCOM-PR) as its strategic communications and community engagement agency for its 2015 postseason college football game scheduled for Tuesday, December 22, 2015 at 7 p.m. at FAU Stadium in Boca Raton. 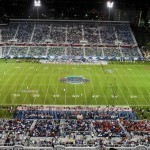 The announcement was made by Boca Raton Bowl Executive Director Doug Mosley who reported that KCOM-PR will focus on providing ‘think tank’ communications strategy; increasing consumer, tourism, business-to-business awareness and collaborations through its established relationships and BizGen℠ tools; expanding ‘crowd and fan’ raising grassroots outreach; increasing news-generating brand storytelling and enhancing Boca Raton Bowl-generated digital, online, social media and e-communications initiatives for all bowl-related events. 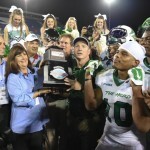 Contributing multi-tiered communications leadership for lead-in events and game day, Mosley reported that KCOM-PR President and Chief Strategist Bonnie S. Kaye will serve as a member of the Boca Raton Bowl’s Executive Committee as it readies for this year’s game match-up between the American Athletic Conference (AAC) and Mid-American Conference (MAC). 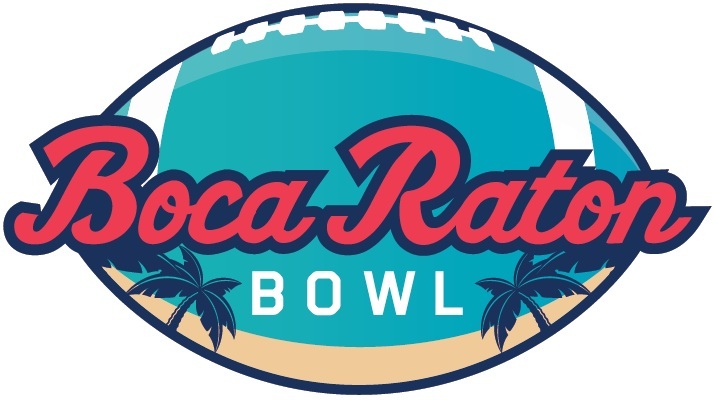 In its collaborative role, KCOM-PR will work closely with Boca Raton Bowl leadership to support ESPN Events that owns and operates the bowl game and its various partners and stakeholders. These include ESPN West Palm that is spearheading corporate sponsorship and hospitality; Orange Bowl operations that is driving sports media relations, ticket sales and event operations as well as destination stakeholders including City of Boca Raton, Palm Beach County, Discover The Palm Beaches, Florida Atlantic University and beneficiary Spirit of Giving Network’s to build ‘fan’ and ‘community’ momentum. Through its 19th years in business, KCOM-PR has delivered strategic brand communications for similar broad-based launch and reinvention positioning initiatives for several of Boca’s iconic destination brands. Among these are the City of Boca Raton for the re-branding and revitalization of its CRA Downtown Boca, Allianz Championship since its move to Boca 10 years ago, Boca Raton Police Services Department’s business and grassroots VIPER crime prevention program, Boca Raton Resort & Club and its Premier Club, Town Center at Boca Raton upon annexation to the City, and Royal Palm Place (for its total brand and mixed-use transformation from Royal Palm Plaza). Most recently KCOM-PR is leading the re-branding communications and business-to-business education for the repositioning of the Arvida Park of Commerce (APOC) that has been designated as a planned mobility hub and renamed The Park at Broken Sound. This follows the firm’s community engagement and media relations initiatives to support new ownership acquisition of The Boca Raton Bridge Hotel to its total reinvention as the Waterstone Resort & Marina featuring the only public on-the-water ‘dock to dine’ restaurants in Boca Raton. Other diverse public-private initiative efforts by KCOM-PR have supported the Charles E. Schmidt College of Medicine at Florida Atlantic University, Boca Raton’s Promise (with firm’s creation and activation of BOCA BRAVE grassroots initiative for ‘breaking the silence’ on mental health), Nat King Cole Generation Hope and the upcoming inaugural Boca Raton Mayor’s Ball presented by Rotary Club Downtown Boca Raton. Kaye Communications. 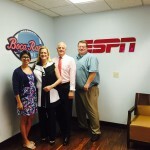 Inc. is headquartered at 2201 NW Corporate Boulevard, Suite 205, Boca Raton, FL 33431. For more information on the firm, visit www.kcompr.com or call 561-392-5166. 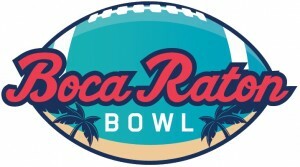 To explore opportunities in which to support or participate in community engagement for the Boca Raton Bowl, contact Jon A. Kaye, Chief Operating Officer and Chief Marketing Strategist via jkaye@kcompr.com, 561-756-3097-cell or bocaratonbowl@kcompr.com.